Product information "Aeotec Dual Nano Switch"
With the AEOTEC Dual Nano Switch all switchable and non-dimmable electric installations (e.g. lighting, sockets...) can be integrated into a Z-Wave network. Thus, the connected load can be switched both wirelessly via Z-Wave and locally via existing wall switch. 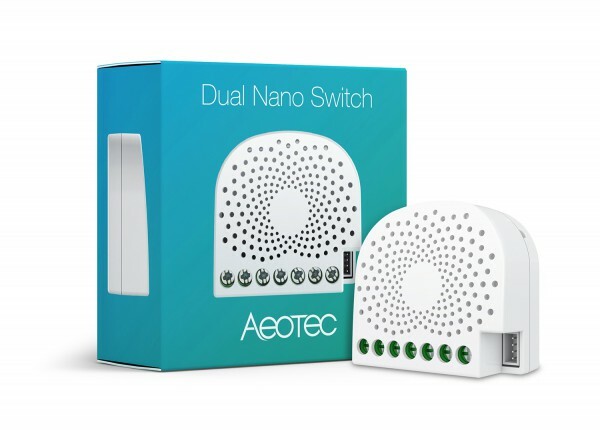 Related links to "Aeotec Dual Nano Switch"